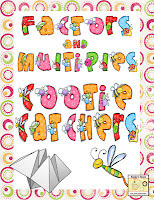 Factors, Multiples, prime and composite numbers, multiplication and division strategies ... this is my FAVOURITE math unit to teach! I absolutely love it! We've been VERY hard at work getting fluent with our multiplication facts for the past few months, so all students can experience success with this unit. 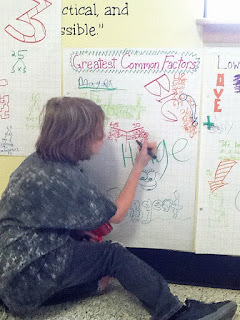 This week in our Interactive Math Journals, we made an entry that gave the definition for multiples, LCM, factors, GCF, and prime and composite numbers. Under each flap, we gave the definition and a few examples. Students will be able to refer back to this entry when doing work in this unit to keep the terms straight. For the proof, I gave them a number (36). I asked them to give three multiples, list the factors, and determine whether the number was prime or composite. For the reflection, I used another question from my Math Reflection Fans. I put the question under the document camera for the students to answer. Next week I think I'm going to let a student pick and display the question for all to answer. 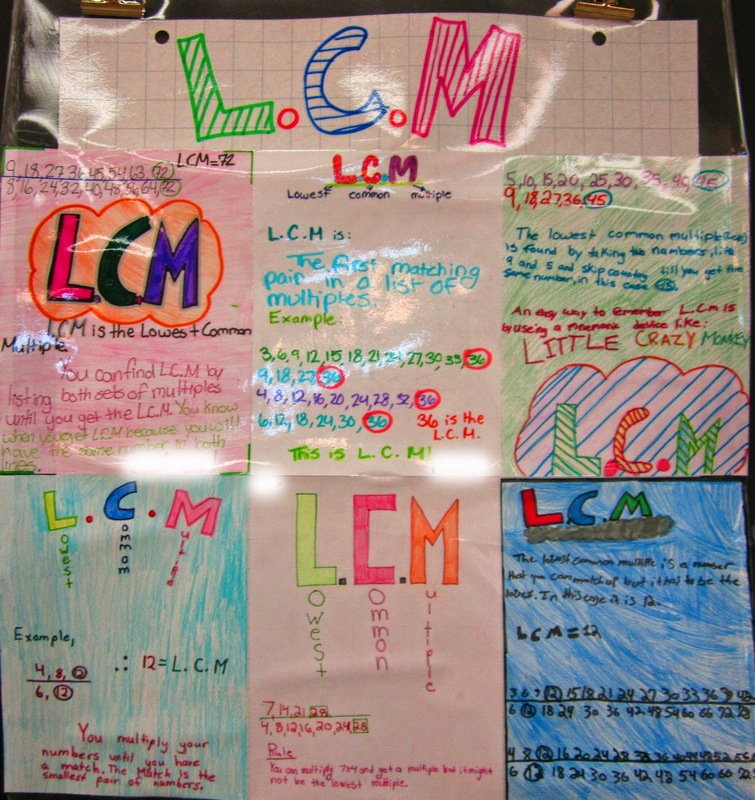 We also made math posters this week for LCM - I chose a few of the students' individual posters and put them together to make a larger poster. I want to do this for all the concepts in this unit and post them around the room. I also sent them home with some multiple and LCM cootie catchers so they can practice with a family member over the weekend. Thanks, Elizabeth! I'm up to my eyeballs in laundry here, so I hope YOU'RE having a wonderful Sunday instead! Hey Jen! I had emailed you back this morning, but in case it didn't go through, I just resent it. I think something's wonky with my email lately ... it seems to have selective sending. ;) Let me know if you didn't get the email. I love your Math journals..
Good Morning! I'm looking for bloggers to participate in a Canadian book blog hop. I hope you're interested. I'm a 5th grade teacher in Maryland. I am currently in my Masters program obtaining my Masters in SPED. 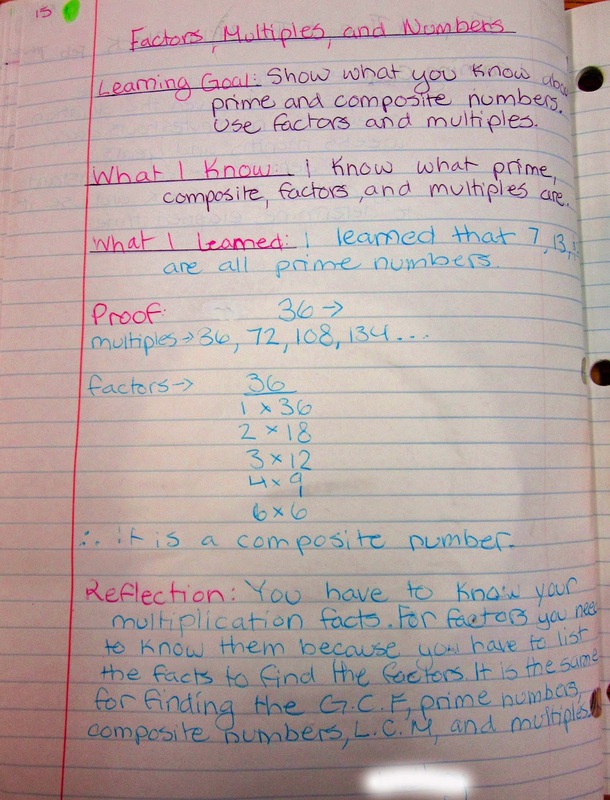 I have been doing my Action Research project on Math Interactive Notebooks. We've used a lot of your resources in our research. I'd like to use your name and names of resources we've purchased from you in our paper. Please contact me a the following email if this would be ok with you.